Our novelty ice cream clock looks almost good enough to eat! Parents and children will love to display this colourful wall clock in their room. The child will love to see their name on it, and it makes a one of a kind gift for any occasion. 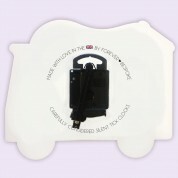 The silent tick mechanism makes it ideal for a baby's nursery. 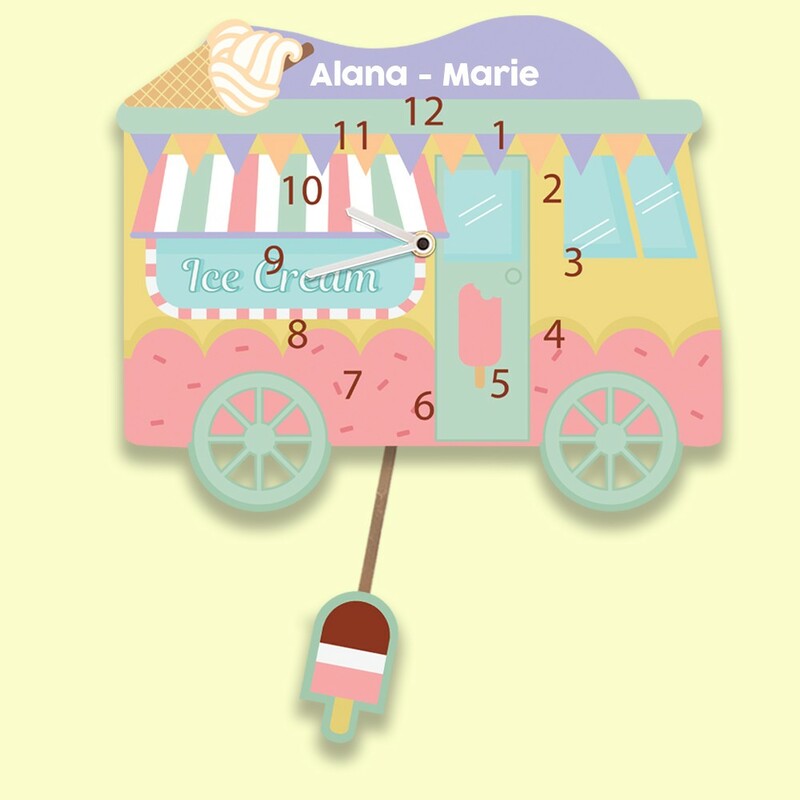 A colourful ice cream van trundles along the road, ready to hand out all sorts of delicious treats! The bright pastel colours will stand out in any room and there is plenty of space for any child's name – or even two names, if they share a room. 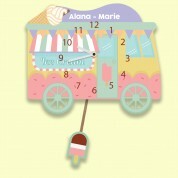 A tasty ice lolly swings silently from the pendulum, giving it a really 'cool' touch! The clock is designed and made in the UK and features a quality German Quartz movement which compliments the quality of the British design and manufacture. Our silent clock makes the perfect gift for any child's special occasion – especially a first birthday. Learning the time has never been so much fun! Other designs are available. Clock Dimensions: Approx 240mm x 200mm.